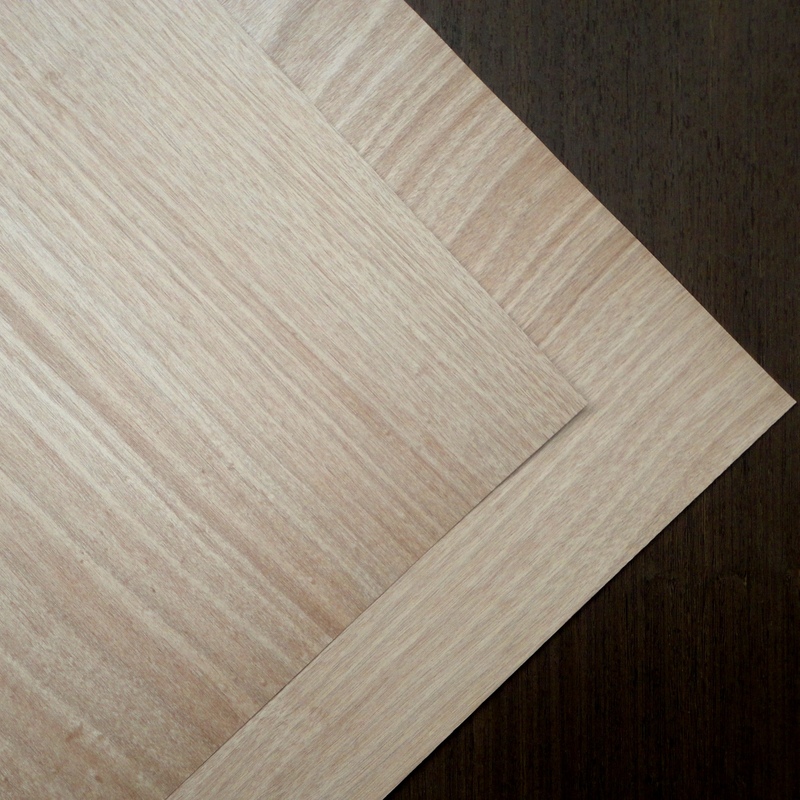 SR Wood has been making "All Wood Edge" two-ply sheets since 1979. All wood, all the way to the edge while still being bendable. A great product for any woodworker who is concerned about the visible edges. We utilize a whole-piece (no seams) back of similar color to match the architectural grade face. The glue line serves as a vapor barrier, making a product with no equal in the marketplace. Applications include millwork, cabinetry, furniture & fixtures, elevators & staircases, and woodworking. • Standard thickness of .037" +/- .002"
• Custom lengths available up to 144"